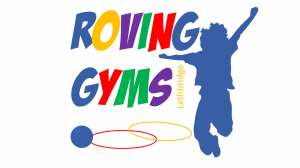 Our Blog is a great source for healthy living information where we share articles on Active Living, Lethbridge Parks, Health & Nutrition topics and more. Join Evergreen Golf Centre on Saturday April 14th for demos, sales and more! 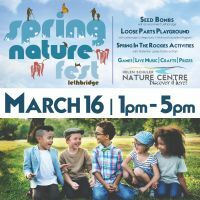 The Helen Schuler Nature Centre invites everyone to celebrate the change of seasons at Spring Nature Fest on Friday March 16 between 1:00pm and 5:00pm. This year's theme for Nutrition Month across Canada is discovering the potential of food to Fuel, Discover, Prevent, Heal, and Bring People Together! 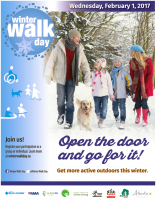 Register yourself, your family, and/or your group and head out for a walk on Winter Walk Day - Wednesday, February 7th! Join Volunteer Lethbridge, the UofL Student's Union, and hundreds of community members on April 15th. The January - March schedule has been released for this fun, free indoor activity for preschoolers. Join the Helen Schuler Nature Centre staff over the holidays for some free activities! SACPA presents Dr Jennifer Copeland to talk about her research into sitting and overall daily movement. Join us for this free event on Thurs Nov 23rd. Great speakers! Great prizes! Until Nov 21st, enjoy the book "Trout Are Made of Trees" by April Pulley Sayre on the Nature Quest trail. Parents, Caregivers, Educators, and Professionals are encouraged to attend this free information session! Join us as we celebrate summer with free outdoor gym classes! 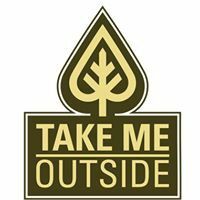 Looking for a summer camp for your 8-14 year old? Check these out! Win bikemaps.org swag with this easy contest! YMCA of Lethbridge is taking action by offering a YMCA Teen Summer Membership for free to teens age 13-17, from June 1-August 31. Mark your calendars for this fun, free family event! This 2 km and 5 km chip timed run is for all ages and abilities AND costumers are encouraged! Looking for some great Mother's Day ideas? We have them right here! 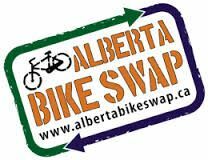 Sell your old bike and/or get a new-to-you bike! Enjoy walking around Henderson Lake, and for a great cause, on May 13th! Come out and be active at the UofL this Saturday! 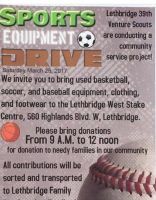 This Saturday, March 25th, drop off your gently used sports equipment! 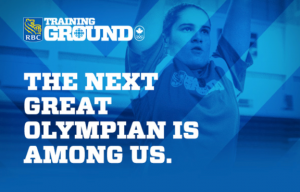 Have/know a 14-25 year old who is athletic? Let them know about this free opportunity! 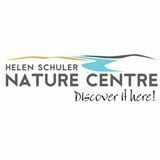 Join the Helen Schuler Nature Centre staff and volunteer for some fun, free, active programs! 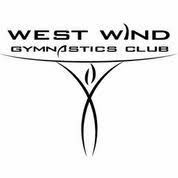 Tips, ideas and classes all in this newsletter! Learning to run? Or a runner looking for a fun run? SIgn your 8-12 your old girl up before this free program fills up! Don't miss the Lethbridge premiere of the new documentary, "Bicicles: Stories About Winter Commuting By Bicycle In The City"
Plan on attending this free event! Looking for free, fun activities for Family Day (Mon Feb 20th)? We have them here! 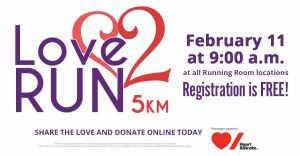 Single or coupled, here's a fun 5 km free run for everyone! The February "Nutrition Times" publication is now available and includes recipes and upcoming classes. 12 free one-hour dance lessons, along with Canadians from across the country! Fill your 2017 with free, fun activities by joining in these challenges! Add these to your recipe files!